Davis adds his name to the growing stable of young Aussie stars. 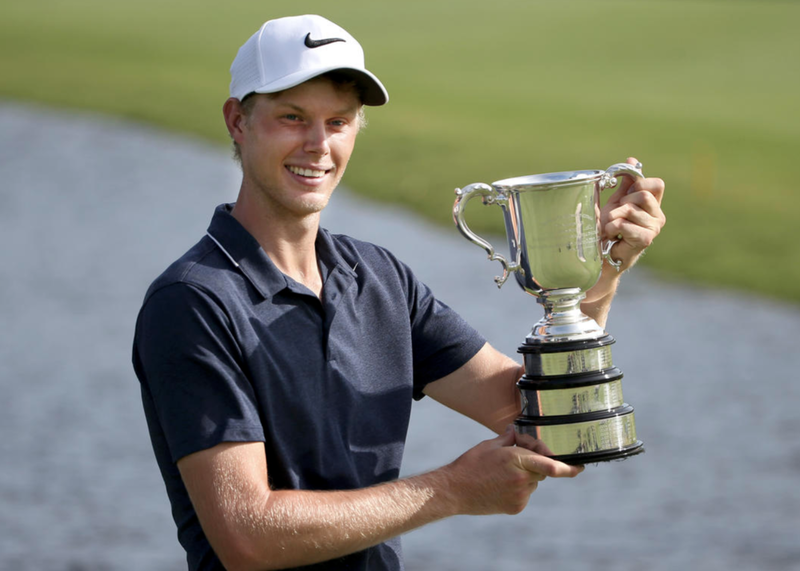 Davis was making his return to the Australian Golf Club which was the course that he won the 2015 Australian Amateur. Davis' stellar amateur career also included an individual win at the Eisenhower Trophy and a runner-up at the 2016 Asian-Pacific Am. Davis, along with Cameron Smith, Curtis Luck, Brett Coletta and Ryan Ruffels, makes for a bright future for Australian Golf. Davis is one of the many talented young Australian players to come out of the country's Golf Australia program. The program focuses on developing the country's young golf stars by subsidizing the costs of tournaments and training. After starring on the country's amateur programs, Davis has moved into the "Rookie Program." The program provides a select group of players with up to $100,000 in funding. Golf Australia's efforts mirror Golf England's program which has led to a resurgence in English golf stars. Given immense funding level of the USGA, it's surprising that the US hasn't developed a similar program for its young stars. Former U.S. Open Champion Geoff Ogilvy spoke extensively about technology and the golf ball in his pre-tournament presser. A few highlights included Ogilvy's optimism that a golf ball roll-back/bifurcation "seems like it’s going to happen." Ogilvy added that a change should happen "purely so we don't have to change our stadiums," which as he said have become obsolete. The comments were particularly impactful due to his affiliation with golf ball giant Titleist. Ogilvy even spun a rollback as an opportunity for his long-time sponsor to sell more product. Watch the full interview here. I am joined on the podcast by Kyle Nathan as we open up some mailbag questions. We talk about Tiger's return, the golf ball and technology, Rickie and Justin Rose, architecture and much more. Listen to the podcast on our website, iTunes or Stitcher. Tiger will make his return to professional golf at this week's Hero World Challenge. On Friday, he got a round in with President Donald Trump, world number one Dustin Johnson and Brad Faxon who recapped the round for Golfweek. Per Faxon's report, Tiger looked pain-free and long off the tee. Faxon remarked that Tiger hit it past Dustin Johnson about half the time when each hit driver. Faxon's report, echos Rickie Fowler’s from a couple of weeks ago, the big question is if Tiger's health can hold up for a lengthy period of time. A throwback article from last year, Kyle Nathan recalls his time looping for Tiger at the height of his career, 2001. Read Kyle's retelling of his experience here. Gary Woodland's Trackman numbers with today's driver vs persimmon. Greg Norman weighs in on the modern era. Have a question for Tom Doak about how Streamsong Blue was built? Ask it here. Get this every Monday, Wednesday and Friday by signing up for our newsletter.